From my unpublished book manuscript "Coca- Forgotten Medicine"
Coca flew into Europe -- metaphorically speaking -- as a commercial commodity during the 1860s with the application of superior packaging for the trans-Atlantic crossings, and its marketing in a form sufficiently preserving its essence and palatable to European tastes, Coca Wine. An extension of the then contemporary wine based medicinal plant infusions prior to the advent of mass-marketed powders and pills, wines of Coca infused Coca leaves or a separate made Coca leaf extract in wine. In so doing so, Coca wine made Coca available for medical and consumer evaluation, with Coca being widely recognized as effective and safe medicine for numerous conditions, particularly in West Europe and North America -- during the half-century period lasting into the early 1900s. Marketed by various manufacturers, Coca wine inspired a host of Coca leaf derived preparations, ultimately including lozenges, cordials, elixirs, the non-alcoholic beverages that became known as soft-drinks, let alone Coca leaf cigars, cheroots and cigarettes and even chewing gums. 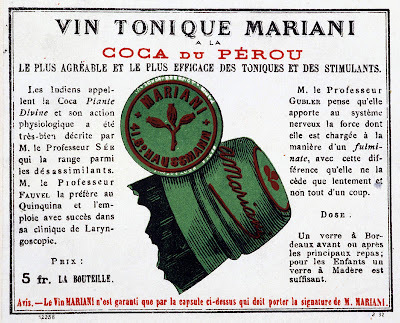 Of all of these products, the Coca wine formulated and marketed by the Parisian pharmacist who two Popes honored at the turn of the century for "rendering Coca to the world," Angelo Francois Mariani, was acknowledged as the best at blending the two with his Vin Tonique Mariani ala Coca de la Perou. Introduced by Mariani in 1863 from his apocothery, Vin Tonique Mariani, [from here, simply Vin Mariani] the result in part of his reading, and willingness to disregard beliefs based upon prejudice, was blended 3 selected varieties of Coca leaves in a rich tasting burgundy. Though his name more or less meant the "Angel Fran Mary", his name developed a different meaning, as it eventually became synonymous with Coca as its popularizer. 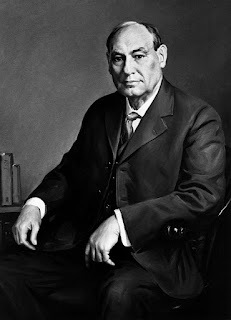 Born December 17, 1838, Angelo Francois Mariani came from a family of pharmacists, and was the eldest son responsible for taking care of his family upon his father's death, before moving to Paris in 1855 as a pharmacist's apprentice, so wrote William Golden Mortimer in his 1901 book History of Coca. 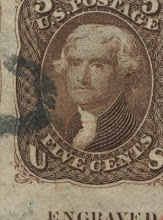 Enchanted with the idea of developing a specialty tonic to make his fortune, Mariani researched the numerous explorers' reports of tropical plants. 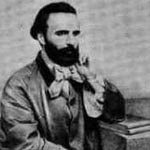 Essentially blending Mamacoca's essence into something that could be said to embody European class, Vin Mariani quickly became popular in European market-places, starting with some of Paris' more ambitious vocalists who frequented his apocothery in that city's opera district. Vin Mariani's effectiveness as a vocalist/stage performers' tonic was quickly recognized by a growing clientele, one of the first using it for this purpose, Abbe Pullez -- a learned philosopher, poet and naturalist, who recalled "the marvelous effect of Coca in weakness of the voice, and assured me that every time he had to preach a long sermon he took Coca for two days before, and obtained thus a sonorous and increased volume of voice." A patient with laryngitis, digestive disorders (largely caused by the opiate containing medications she had taken), a lack of appetite, was treated successfully with two wineglasses of Vin Mariani daily for a week. Absolutely brilliant article. Where may I obtain a copy of your opus: Coca-Forgotten Medicine? My email has been blocked "to protect" me according to Yahoo since April 14, 2008. Are you posting from Peru, or from where? I am posting from Miami at this time where I'm trying to raise capital enough to go back to Peru and elaborate Vin Mariani, French Wine Coca and any historical Coca based liquor. Your treatise on Coca is the most complete and authoritative oeuvre to date. Let me know where I may read or purchase the whole book.Not since Mortimer has there been anything so well grounded.